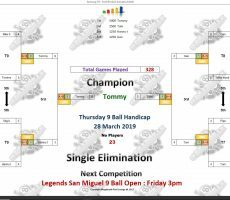 THURSDAY 9 BALL – 28th MARCH : TOMMY WINS AGAIN!! 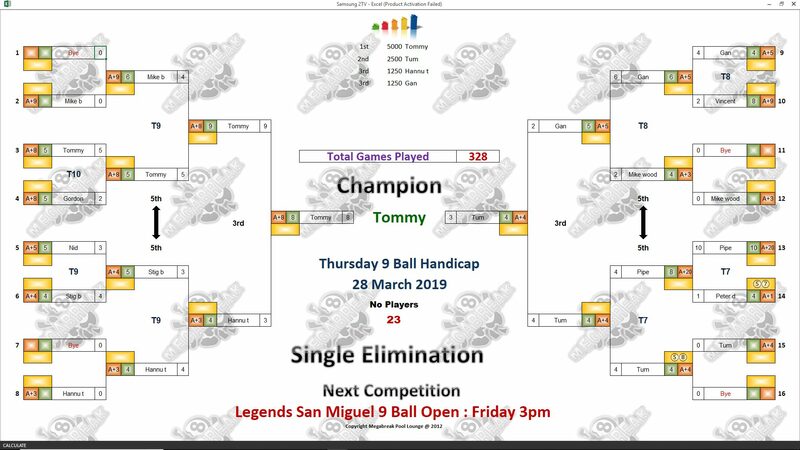 Tommy Fineman was at it again on Thursday night to win our 9 Ball Competition!! 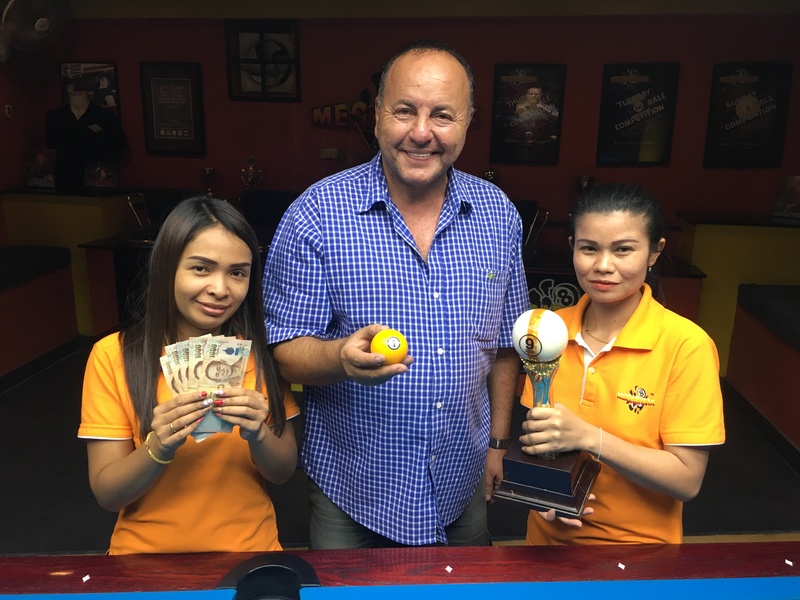 The Israeli potter was on top form all night long to win his second tournament here in just four days, following on from his Sunday 9 Ball victory earlier in the week. 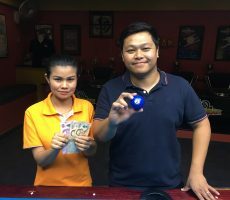 From a total entry of 23 players, he beat Thailand’s Tum Supasut Panitchop in the deciding rack of the final (race 8-4) to collect the 1st Prize of 5000 baht. 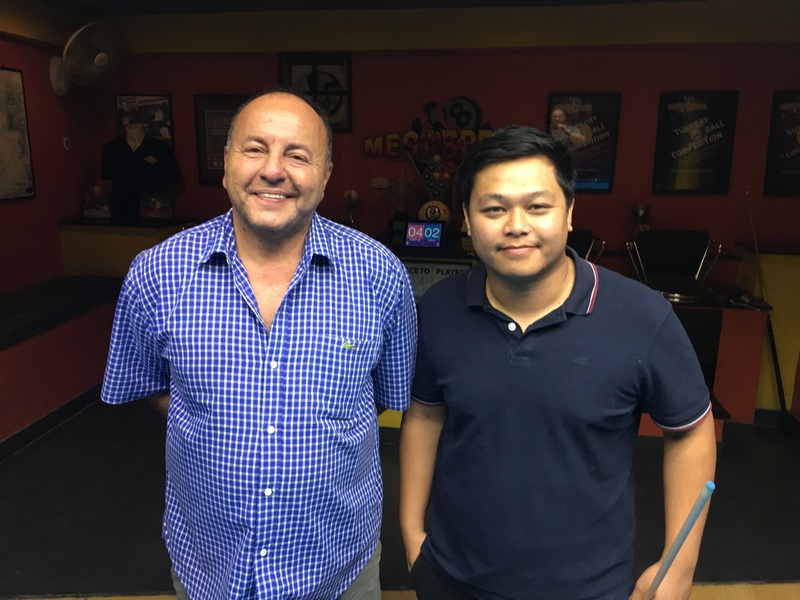 Can he possibly make it three wins in a week in tonight’s 9 Ball?! 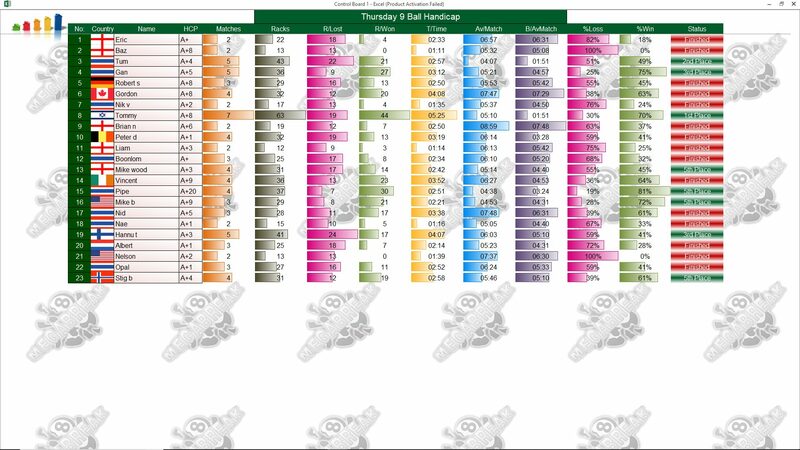 Tum played well to reach the final before losing out by the narrowest of margins, and took home 2500 baht as Runner-Up. 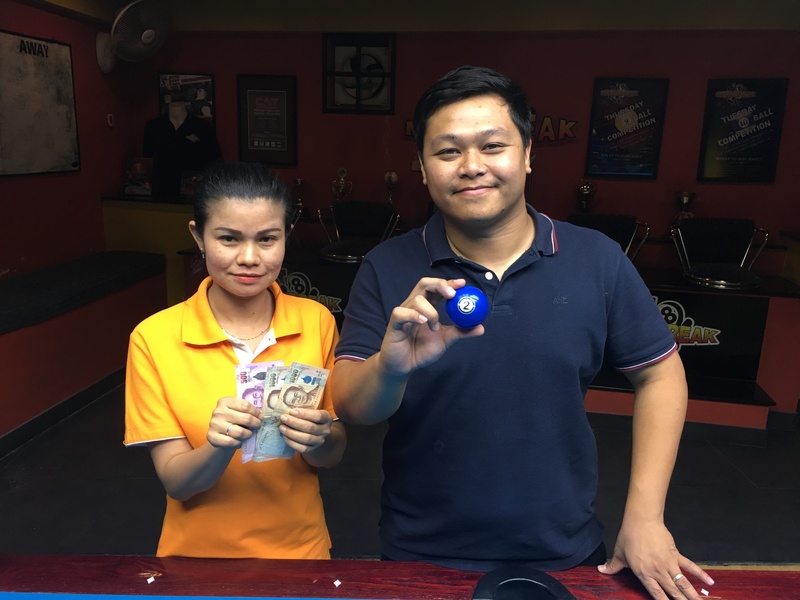 The other money winners on the night were staff member Gan Kanchana Chinboot and Hannu Torpström who each pocketed 1250 baht for reaching the semi-finals. Champion : Tommy (A+8) – 5000 baht. Runner-Up : Tum (A+4) – 2500 baht. 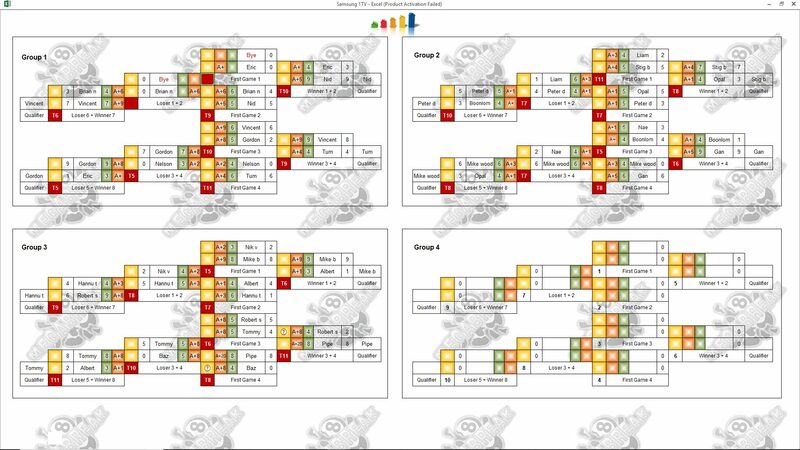 Semi-finals : Gan (A+5) and Hannu (A+3) – 1250 baht each. The Player Auction Prize Pot totalled 19600 and was won by Hannu Torpström for the third time in four days!! 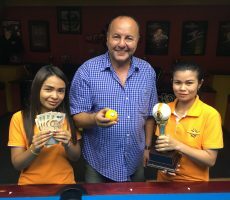 He bought three out of the top four places to win a combined total of 8000 baht on the night. 1st : Hannu (Tommy) – 7600 baht. 2nd : Me (Tum) – 5400 baht. 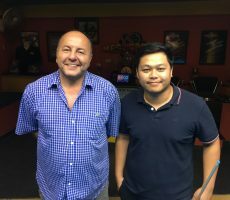 Equal 3rd : Hannu (Gan and Himself) – 2800 baht twice.